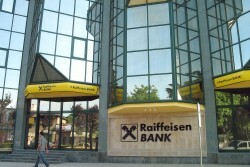 The Austrian merger advisor Raiffeisen Investment AG posts deal volume of € 3.5bn for the first three quarters 2011. Further projects are negotiated. Raiffeisen Investment AG (RIAG) reported results for the first three quarters 2011. In the first three quarters 2011 RIAG executed 13 projects with a total deal volume of roughly € 2.5bn, and two projects with a deal volume of roughly € 1.0bn are near completion.